At only £82,500 gives a 50% share off this large two bedroom ground floor apartment. 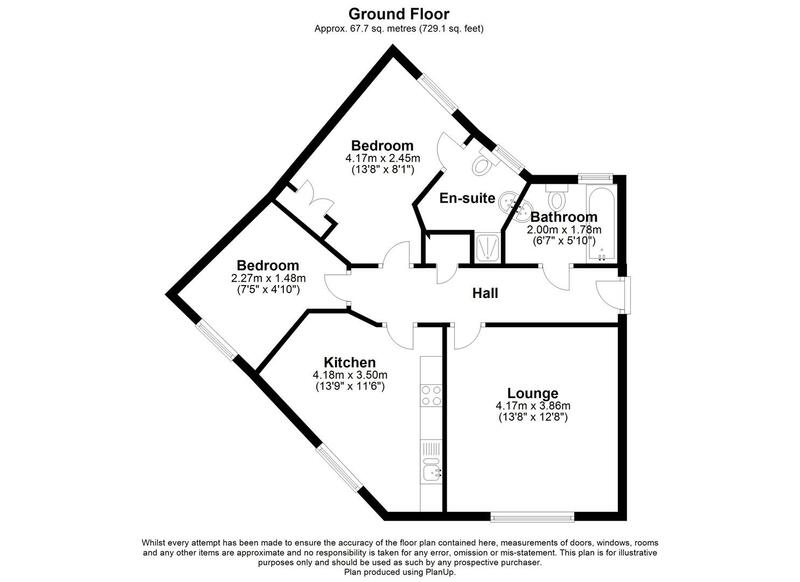 ( 100% purchase at £165,000 available too ) This property offers space that would rival many other two bedroom homes for space. Entrance Hall, two good size bedrooms, the larger with en suite. Ground floor gives easier access with a parking space right by your back window. Only a short walk from the Singleton Centre. Where most needs are catered for. Including post office, doctors, pharmacy, dentist, hairdressers, vets, takeaway and regular bus service. Kitchen - 4.14m x 3.51m (13'7 x 11'6) - Double glazed window to side, an interestingly shaped room, with range of kitchen units with built in oven, hob and extractor, sink unit and plenty of room for a small table, space for further appliances, wood effect laminate floor covering. En Suite - Double glazing window to rear, tiled shower enclosure, WC, wash hand basin with splash back tiling. Bathroom - Double glazed window to rear, splash back tiling, bath, wash hand basin and WC, wood effect laminate flooring.